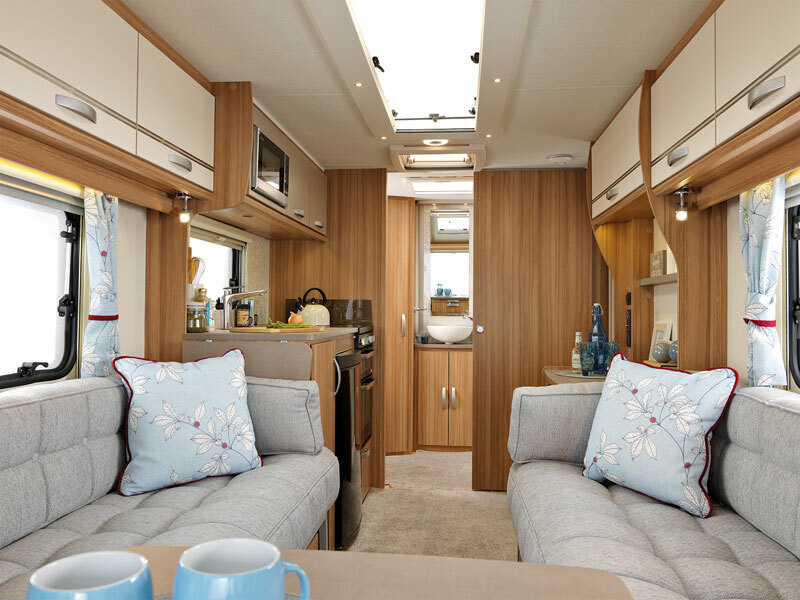 In the Ariva/Quasar range, the spacious lounge area with a 6'1'' seating area in the stylish new 'Vienna' upholstery creates a light, but modern interior that coordinates beautifully with the contemporary styled 'Magnolia' locker doors. Of an evening, the interior space is illuminated with the addition of opulent inset lighting in the 'Skyview' surround, creating a cosy but elegant ambience. The kitchen benefits from the addition of the dazzling 'Twirl' splashback, 'Light Canvas' locker doors and a stunning laminate work surface. It also features an easy to access 800W microwave and boasts a new Thetford K series oven. 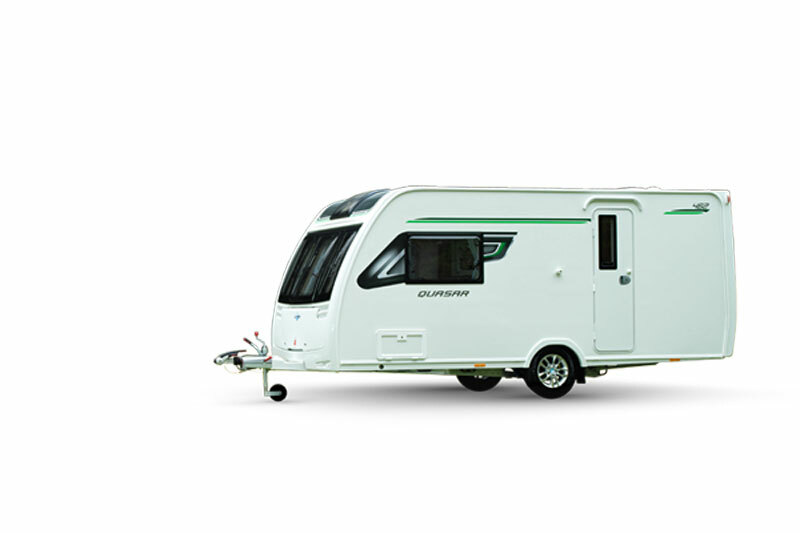 For 2019, Lunar has launched a brand new additional model to the Quasar range, the Quasar 686, an 8ft wide luxury family layout caravan with ample 6'5'' headroom and a large front lounge. 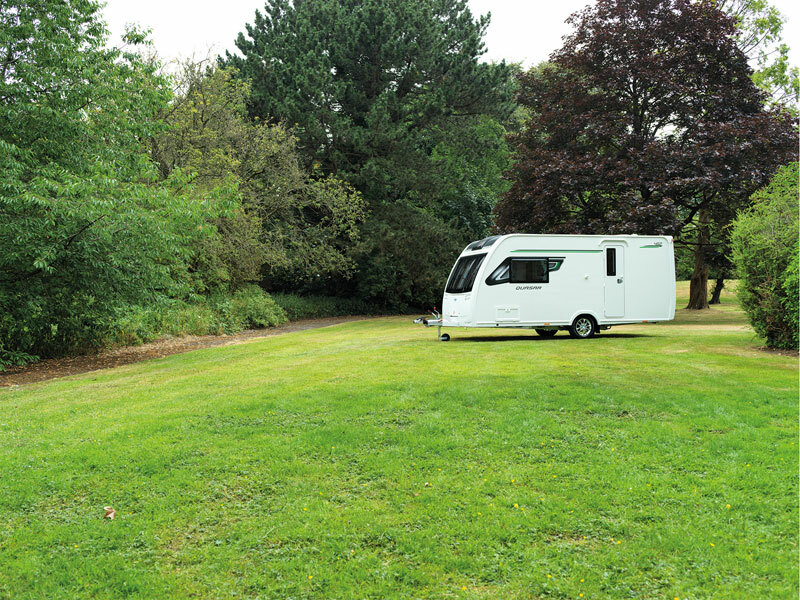 This caravan offers a comfortable and practical space for a family that like to dine, relax and entertain, featuring a rear fixed french bed, rear washroom, with side dinette and front lounge both converting to further double beds. If you are interested in learning more about the Quasar 462, please fill in your details below and we'll get back to you with more information. Fields marekd with an asterisk (*) are required. What do you think about the stunning Lunar Quasar 462?